We have already been talking about how Facebook marketing can be an innovative way of taking your business on the global platform. Every year, Facebook marketing strategies change for the benefit of eCommerce marketers. Facebook wants to be your one-stop shop for news, products, and updates from your friends. With the world changing a mile a minute, it’s hard to scale, differentiate yourself, and maintain trust in the ever-changing marketing world. It is better for the eCommerce marketers to stay updated with the Facebook marketing trends for the coming year. The more you plan ahead, the better equipped you feel to manage those changes when they happen. Below is the image that displays the number of active users on the social media platform and a few other details that prove it to be one of the topmost platforms to invest the social media marketing strategies in order to grow. This blog will lay down the different Facebook marketing trends for the year 2019 that you should be working on in order to take your business to newer heights. If you do not have a Facebook store yet and have a robust Facebook community, you should not delay this any further and create an FB shop on your store to give the consumers what they’re looking for. There are functional plugins available at Knowband for Prestashop and Magento store that let you integrate your store on your Facebook page. You can find this module here. Here we can add some stats as we are just talking about the plugin. We need to talk about FB store in particular. So, what are the benefits of having an FB shop? have to put in a lot of efforts to convert a casual reader or visitor. Adding a medium to do so directly on the store would increase the chances of converting more visitors without efforts. They can now shop for your products and services easily. All they have to do is to click on the ‘Store’ tab and they can look at your products on one page. Only a single account is all that you need: Having FB shop on your store makes it easier for you to display the changes like the modified button colors, addition or deletion of products and more. The moment you make the changes on your store, it automatically updates your Facebook store, too. Hence, you don’t have to manage the different inventories on your store and Facebook store separately. 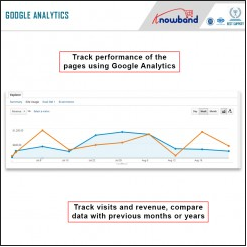 You can track your customers with smart analytics: The Knowband FB Store module allows you to have a better understanding of the sales too. Tracking the visitors and customer – where they came in from, where they left, how many come from Facebook and other aspects can be easily tracked. According to a blog by Neil Patel, Facebook ads are more worthy than you think. The eCommerce businesses can be used at any of the stages of their sales funnel. So if you want to boost the product visibility on the social media platform in the year 2019, investing in Facebook ads is something you should ponder on. If you are to believe the stats about the Facebook advertising, you should take a look at this study done by Sprout Social. According to this study, 93% of marketers use Facebook advertising regularly which translates to about 3 million businesses that use Facebook to market their business. Furthermore, 70% of these businesses are outside the US. That’s not it, in the year 2017, Facebook earned $7.68 billion in Q1. What are the benefits of investing in Facebook ads? Targeted advertising: Facebook ads allows you to specify the interests of the people who you want to gain exposure to. You have the freedom to choose your targeted audience depending on the factors like demographics, age, interests and basically everything else that they do on the internet. Tracks performance and ROI: There are quite a lot of performance metrics that help you measure the ROI and track the performance. Increases customer loyalty: Customer loyalty is something that every eCommerce business looks forward to and spends because it is something that brings back the customer over and over again. It is something that social media optimization strategies look forward to. With the help of Facebook ads, you have the opportunity to aware, interact, and provide the fans with your products or services that build loyalty and brand image. Even if the Facebook users aren’t clicking your ads, the ads are continual visible in their news feed increasing the efficiency and engagement. As a result, which creates opportunities for retargeting in the future. Increases exposure for your business: With Facebook ads, you can choose to run a PPE (pay per engagement) campaign that cost some money yet reach the target audience for your business maximizing your business exposure. Did you know that “live content” drives three times more engagement on Facebook? Well, this was concluded in a study done by Social Media Today back in 2016. The option of Facebook Live is all about displaying the content that’s about in-the-moment. You can go live by displaying the live office events, products launches, and sales too. Going Live engages a lot of audience on-spot. On the other hand, Facebook Stories are in-the-moment content clips. Followed by Instagram stories popularity, Facebook had to be in the queue to let their users do it too. New products, discounts, testimonials and what not can be a part of the Facebook stories? Investing your time and efforts into these would be seen gaining popularity in the coming year. According to Tubular Insights, the Top 10 most-watched publishers saw a total of nearly 11.8 billion total views. Here’s the list. The consumer-generated content can be a powerful tool as it gives other potential customers the social proof they want. In addition, it is quite engaging as the content designed by the target audience could actually be the one that the others would want to see. The user-generated content can be anything photos with hashtags (#), product feedback, shopping experience, queries, discussions and a lot more. Facebook is quite a popular platform that allows the customers/users to post videos and photos as content. What do you think of these Facebook marketing trends for the year 2019? Keep your social media optimization techniques in place and these trends would help you gain success in sales and increased revenues.